This week marks the end of an era, as Orange Wednesdays comes to a close. This means there’s no longer any reason to be on EE, least of all those Kevin Bacon adverts. And there’s only one way to commemorate Kevin Bacon Wednesdays; by watching an Ethan Hawke movie! 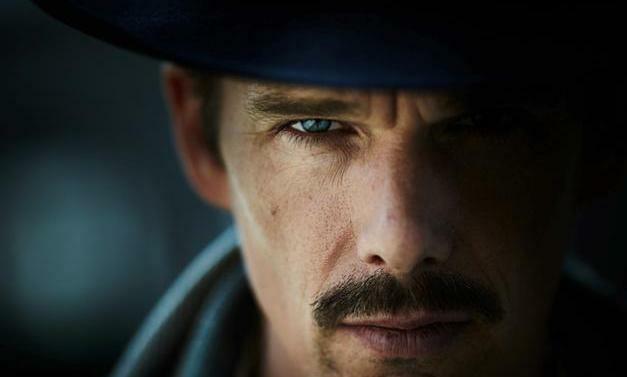 Predestination is not a prequel to Final Destination, but an Australian sci-fi film about a Temporal Agent, or “Time Cop” if you will. Oscar-loser Ethan Hawke plays a nameless bartender in 1970s New York. 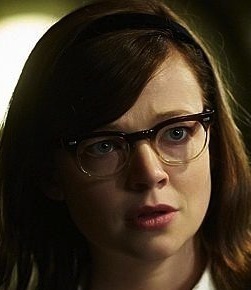 In walks a mysterious stranger, brilliantly played by Sarah Snook. Most of this noirish mystery is built around their conversation, in which we’re told a remarkable story through flashback. Here the film is at its intimate best, before the nicely named pairing of Hawke and Snook venture out of the bar and into temporal wakes. It’s the bare bones of a great plot, never as satisfying as the somewhat similar Looper. But writing/directing duo the Spierig Brothers keep the movie gripping throughout its nimble 90 minutes, with plenty of plot twists; some predictable, some surprising, all crazy. Crucially for a time travel movie, it’s internally coherent, but also irresistibly strange. Relative newcomer Sarah Snook more than holds her own opposite a growling Ethan Hawke, and the Australian actress stands out in this curious piece of sci-fi. Don’t let the forgettable title or the end of Orange Wednesdays put you off; with its intricate plot, interesting themes and intriguing characters, Predestination is a very nifty B movie. Glad you liked it Dan. We did too!